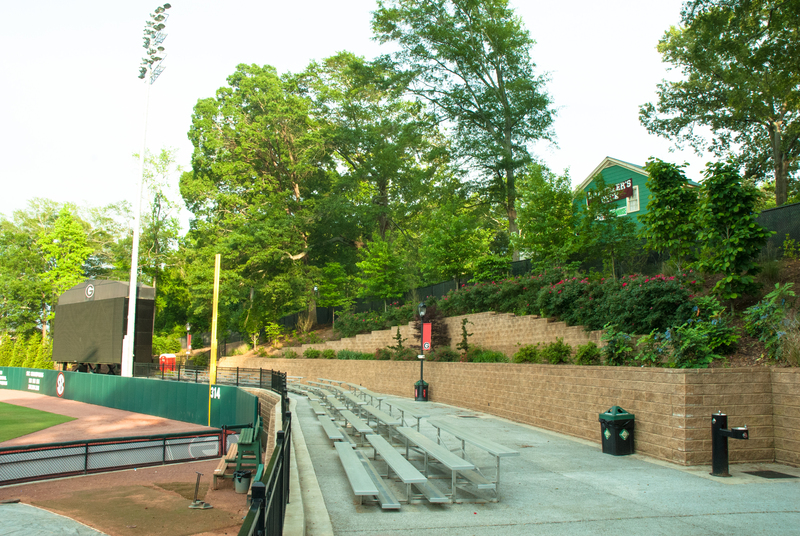 The Baseball Perimeter Improvement Project includes the renovation of the area behind the existing outfield fence and "Kudzu Hill" beyond the right field fence. This project will include selective demolition, grading for retaining walls, walkways and stormwater management, sidewalk and hardscape improvements, minor utility improvements related to stormwater piping and relocation/installation of site lighting, soil erosion and sediment control, and landscaping. This project will also be replacing a large portion of the evergreen trees that reside against the outfield fence. DSI Design and Construction, Inc.
"Creating Tradition through Architecture and Campus Planning"